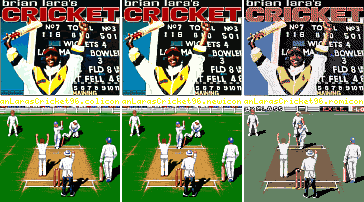 This patch applies to "Brian Lara's Cricket '96" (c) 1996 Audiogenic - 1 disk. short deliveries has been fixed! A pretty good update all around! sides onto the second disk and left the international sides on disk one. disk swap and can press the Retry button to start the save. fault and overwriting memory which can often end up in a complete crash. - If the above situation occurs you can press Escape to stop the madness. Escape seems to signal a dead ball and the next delivery is bowled. Press 'F9' to switch disks during the game! Original supplied by myself for once!